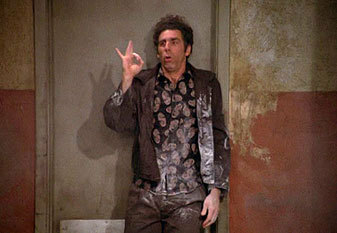 "The Revenge" is the twelfth episode of Seinfeld. The episode was the seventh episode for the show's second season. It aired on April 18, 1991. 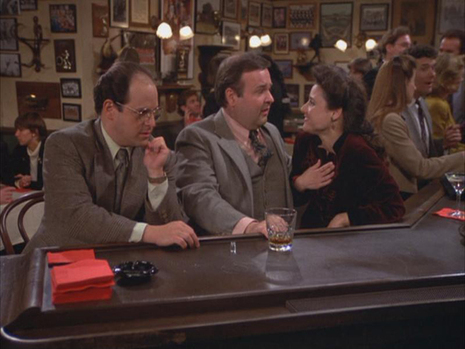 George (Jason Alexander) quits his job and immediately regrets the decision. After returning to work and getting fired for the second time, he plots revenge against his employer with the help of Elaine (Julia Louis-Dreyfus). Meanwhile, Jerry (Jerry Seinfeld) discovers money hidden in his laundry has gone missing. He immediately blames the owner of the laundromat, and plots revenge against him with the help of Kramer (Michael Richards).